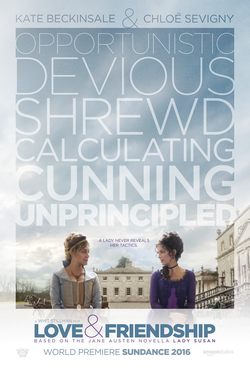 Just posting here all the reviews that have been piling in from Sundance – we have been waiting all year for this film – from the very first announcement that Whit Stillman was going to film Jane Austen’s Lady Susan, but bizarrely calling it “Love & Friendship.” Starring Kate Beckinsale and Chloë Sevigny. And when can we see it? Maybe an April release?? She had no title on it. I’ve seen the manuscript. It’s in the Morgan Library. 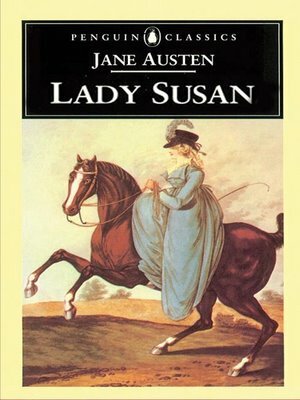 Her nephew, when he published it in 1871, put the title Lady Susan on it. Austen had sort of shifted as she went along from character names to imposing noun names for titles. Sense and Sensibility was supposed to be called Elinor and Marianne. So we took the title from a juvenile short story to give it that Austen sound. This entry was posted in Austen Literary History & Criticism, Fashion & Costume, Jane Austen, Jane Austen Popular Culture, Movies and tagged Jane Austen, Jane Austen's Fiction Manuscripts, Kate Beckinsale, Lady Susan, Love & Friendship, Whit Stillman. Bookmark the permalink. Deb, the movie was astoundingly good, as I begin to explain here: Hegedus/Pennebakers Unlocking The Cage, Stillmans Love&Friendship & my first Sundance http://tinyurl.com/zykzrzf — I will post more in depth later after I finish going over the text of Lady Susan again, and identify all the witty dialog which Stillman added to Austen’s! I’m excited! And I’m glad to see you had much better images! A few other posts I’ve seen recently have had REALLY bad/grainy images.